Ensure smooth business services with minimal downtime by promptly detecting incidents and automatically generating tickets enriched with who-what-when-where data. 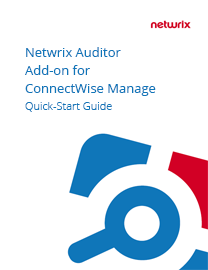 Simply integrate ConnectWise Manage with Netwrix Auditor using this add-on built with the RESTful API. 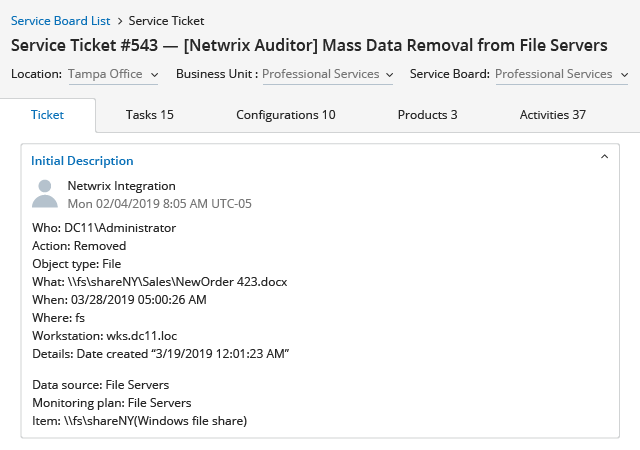 Have tickets created automatically in ConnectWise Manage when Netwrix Auditor alerts are triggered, so you have information about all incidents available in one place. Enable the resolution process to start quickly so you can meet SLAs and minimize costs and service disruptions. Relieve the burden of manually handling tickets with automatic ticket creation, classification and flood suppression. 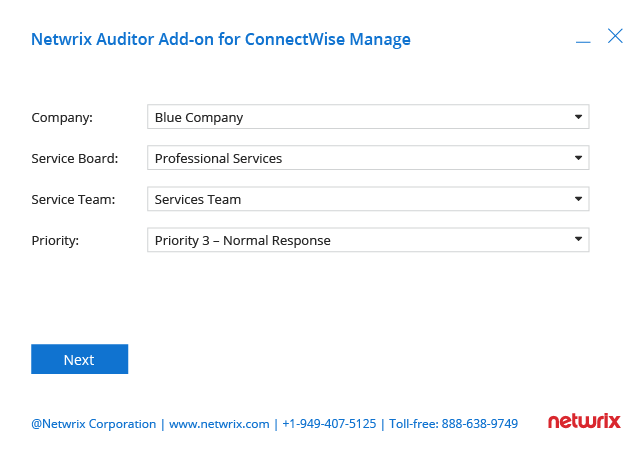 Have tickets generated automatically based on Netwrix Auditor alerts and respond to critical security events. Get the tickets immediately assigned to the right person or team with impact, priority and SLA status filled in ConnectWise Manage. Get all the critical details, including who-what-when-where data, entered in the Initial Description ﬁeld of the ConnectWise Manage ticket. Want more help getting started with the add-on? Read the Quick Start Guide. 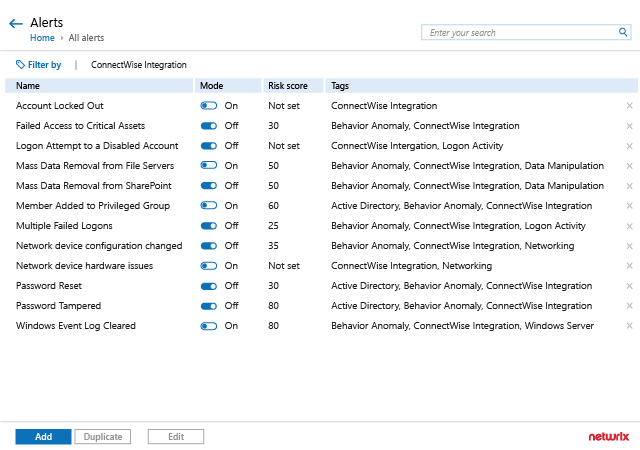 Review detailed instructions for installing the Add-on for ConnectWise Manage. Automate incident management with your ConnectWise Manage platform to minimize disruption of business services.